One of the most effective ways to influence Chinese consumers and to get them to actively engage with your tourism or travel brand is to embrace the power of celebrity. Chinese millennials love to know what celebrities are doing and saying, and follow them avidly via online media channels, WeChat and Weibo. Websites and other media platforms often work with celebrities or high profile bloggers and Key Opinion Leaders (KOLs) to take them on trips overseas and film, photograph and record their experiences abroad. One such platform is Haibao.com, China’s ‘go-to’ fashion and lifestyle website that attracts a phenomenal following of more than 1 million on WeChat and more than 570,000 on Weibo. We have a great relationship with Haibao, who asked us to organise a bespoke celebrity media trip for the 17-year old A-lister Nana Ou-Yang. This Taiwanese film star and musician is a huge star in China with over 10 million Weibo followers. The brief was to celebrate England’s artistic British style and to provide Nana and her team with a cultural treat following on from their attendance at London Fashion Week. We had been talking to Destination Bristol about opportunities to promote the city’s hip, fashionable and artistic credentials and its music scene to the Chinese so this project was perfect for them. Following hours of planning and research, Nana, her mum and her extensive crew of 10 (make-up artists, hairdressers and cameramen) visited Bristol in September 2017. The trip offered Bristol the opportunity to highlight their key attractions and put the city on the global map, especially in China. SS Great Britain, creating her own ‘Banksy’, and a riding in a hot air balloon – these are just some of the experiences Nana enjoyed during her visit. Destination Bristol even organised for Nana to play her cello overlooking the Suspension Bridge with Bristol-based band ‘Transition’, who sing in Chinese and have a massive following in China. In terms of organisation, the trip was complex to organise, but in terms of media worth and publicity, the trip was a great success. 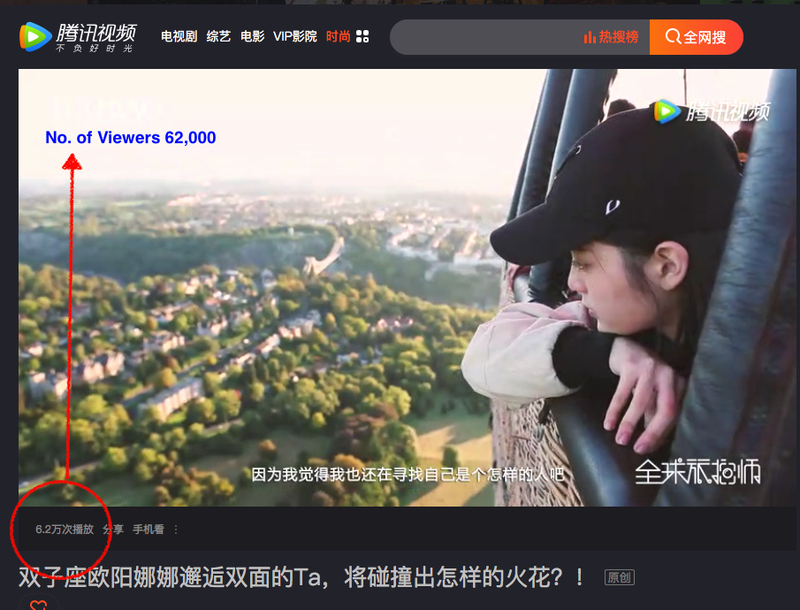 Haibao started publicising Bristol before Nana had even set foot in the city. Banner ads, videos and have appeared on the Haibao site. Nana’s WeChat post of the trip garnered 98,000 views its first week alone. Two videos were made: one with a fashion emphasis, using Bristol as a backdrop, and the other was a more traditional trip video. Each received more than 60,000 views within one week. To see the October WeChat post, please click here.